There is no such thing as a universal Drug and Alcohol policy that applies to every company operating within the United States. A well drafted and extensive Drug and Alcohol Policy is essential for your company’s success and protection. Creating a legitimate Drug and Alcohol policy for your company requires paying close attention to your state and federal laws, proper training for your employees, and effective communication of your policy. Substance abuse serves as a direct threat to both the employee and the employer. With a clear and concise policy, recognition of current laws, and proper employee training, your policy will effectively manage and decrease substance abuse within your company. Taking these statistics into consideration it is easy to conclude that substance abuse is extremely problematic and expensive for employers to manage. All industries are different and have various safety standards that affect a policies autonomy. However, all companies should consider the magnitude of the negative effects substance abuse is capable of. Substance abuse contributes to low employee morale, loss in productivity, increases in absenteeism and is an extreme liability to the employer. 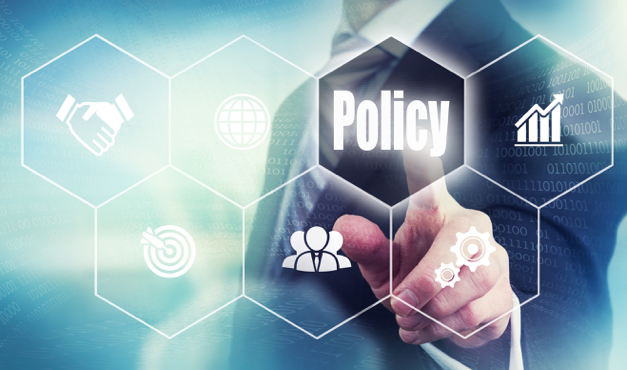 By instilling a researched and effectively communicated policy, your company will have a reliable foundation to depend on. What should a Drug and Alcohol Policy Include? Essentially, a well thought out and inclusive policy will explain, why a Drug and Alcohol Policy is in place, all circumstances that subject one to testing, what specimen is required for testing, and what disciplinary actions will be taken when tests are failed. The policy should start off by going into detail of why such policies exist. This should not feel like a list of rules and regulations but rather the employer taking the necessary steps to creating a safe work environment. The need for safety goes outside the direct relationship between the employee and employer. There are many other parties that can be affected from the mind depilating affects substance abuse causes. Suppliers, customers, and even the public are at risk if a company does not acknowledge and enforce the proper Drug and Alcohol Policy. The policy must establish exactly what substances are prohibited. For example, DOT organizations use panel tests that detect levels of Amphetamines, Methamphetamines, Cocaine, Marijuana, MDA-Analogues, Opiates, and Phencyclidine (PCP). Additionally, you must institute when employees can be subject to testing. Some examples are pre-employment, post-accident, and reasonable suspicion. The specimen that will be required to collect upon testing must be declared as well. Urine tends to be the standard specimen but employers have other options such as oral swab tests or hair tests. A respectable policy will map out the post positive test result processes and clearly state the disciplinary actions that will take place. You should clearly state how the breaking of any rules will not only affect the individual, but the company. To ensure understandability make sure that you effectively communicate the severity of substance abuse within your company, especially if possible termination is possible. Take the opportunity to specify that all employees will be treated equally and that the company policy applies to everyone. Simply drafting a Drug and Alcohol policy and distributing it between your management team and workforce is not enough. Training your management team to properly carry out the policy is highly recommended. A policy that is not administered consistently and accurately holds no value. By training your management team, they will be able to identify situations such as an employee being under the influence on the job. Employees should also be trained to understand how to deal with fellow coworkers in a safe and confidential manner. Training should encompass majority of the drug and alcohol situations dealt with and provide the proper tools and step by step processes to handle each situation. By training your employees you can ensure problems are identified and handled appropriately. Your Safety and Human Resources Department plays a key role in providing the training and assistance employees need when the decision-making process is subjective rather than routine. An outdated policy is an irrelevant policy. Laws and situations are constantly changing and your policy requires consistent grooming and editing. You must keep up on the current state and federal laws that directly affect your policy and make sure that changes are communicated to your employees immediately. The company policy creates open communication between both the employer and employee. It is also the document that keeps new hires and senior individuals up to date with the direction and expectations of the company. Keeping an up to date company policy is essential to its effectiveness. If your employee is in violation but was not aware of the policy change, legality issues can quickly arise. To further protect your company and ensure policy acceptance, employees can sign a form stating that the policy was thoroughly explained and understood. By having employees sign a form, their signature serves as proof of policy acceptance. If needed, this document can serve as justification for actions taken in regards to substance abuse violations. For example, if an employee feels as though they are being treated unfairly, the employer can refer to the company policy for justification. A successful Drug and Alcohol Company Policy instills a sense of accountability and eliminates certain mentalities and behaviors that can steer a company off track. A company policy will create a unified and positive atmosphere where everyone is made aware of what is expected of them. In the case that your Drug and Alcohol policy is not compliant, you may find yourself deep into a lawsuit and paying absorbent amounts of litigation fees. Your Drug and Alcohol Policy serves as a promise to ensure fair treatment and safety throughout your entire company and keeps you compliant with current laws and regulations. Don’t know where to begin? If you need help drafting and implementing an effective Drug and Alcohol Company Policy, there is Origin. Origin can tailor to your exact specifications and build a policy that your company can depend on.